A New York state law now requires insurances to cover up to 680 hours of applied behavior analysis for children with autism spectrum disorder. With the beginning of the school year, children with special needs may be getting assessments (and reassessments) of their needs. If it is suggested that your child with autism receive applied behavior analysis, here is something to keep in mind: A New York state insurance law, nicknamed the autism mandate, now requires insurance policies and contracts that provide coverage for those with autism spectrum disorder to cover up to 680 hours of ABA per calendar year. ABA therapy focuses on building and strengthening a person’s verbal and life skills, while also reducing any interfering behaviors such as repetitive motor and vocal behavior, disruption, and aggression. Board-certified behavior analysts meet with families, identify the areas of concern, and complete an assessment of a patient’s skill level in each area based on the parents’ concerns. The mandate requires treatment to be held outside of an educational setting, which allows ABA to be held in an individual’s home, the community, and specialized treatment settings. Services depend on the needs of an individual and their insurance. 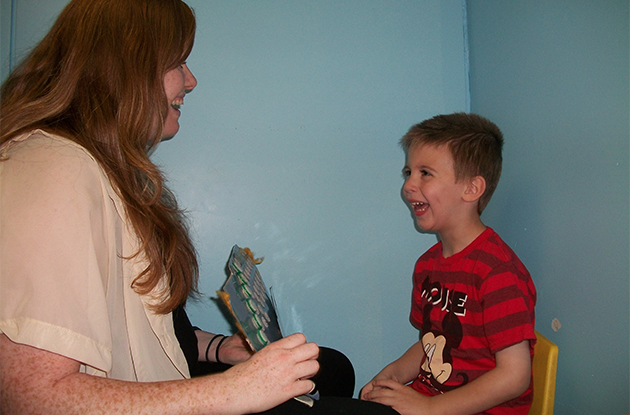 All ABA therapy programs are provided by a behavior technician and supervised by a board-certified behavior analyst. Those eligible to receive ABA therapy must have a diagnosis of autism and must also have a prescription for ABA therapy. These programs covered by eligible insurance plans are “giving people access to all of the services that can really benefit their child and increase their level of independence,” adds Catherine Hamilton, LMSW, BCBA, program coordinator for Eden II’s Long Island ABA program. Find more information in Eden II’s 20 FAQs about the autism mandate. View original article in NY Metro Parents here.